Thursday – Out because B and I have a date night planned! All things Baby Olivia. She will be three on Saturday and my heart can’t really take it. Three was the point at which Jacob stopped feeling like a baby to me, and it is really hard to believe that we no longer have a baby in our house. She was such a sweet little sack of sugar and I can still remember the feel of her soft, silky baby skin and the sweet scent of her newborn breath. Sigh. I must stop longing for another baby! All the spring fashion! 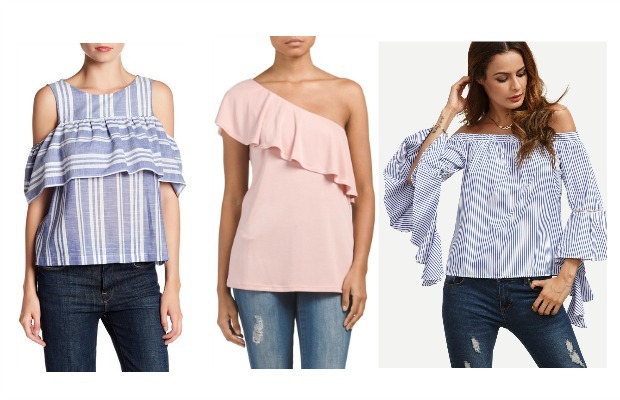 It’s looking like ruffles and cold shoulder tops are going to be all the rage for spring and I am 150% on board with that. I love that my birthday is in the spring, because I can use my gift cards to refresh the spring wardrobe. Some things on my radar… and they're all under $23! And can someone please find a copycat version of this dress for less?! It is stunning, but that price tag is laughable. Lately we’ve been spending loads of time outside – dining down town, walks, playing on the playground, ice cream. This weather has been positively crazy this winter. I don’t think I can remember a hotter winter than this, and I’m sure that we’ve broken all the records. The weather has been consistently warm for so long now that I keep thinking it’s April. It’s so strange to know that it’s only February. I wish our back porch was all clean and ready for al fresco dining because it’s definitely warm enough for that, but everything still needs to be hosed off and swept. I just know the second I try to do that we’ll have some freak blizzard in March or something. Not too much to dread right about now! Now that my least favorite two months of the year are almost gone, I’m coming out of my funk and starting to feel pretty good! I’ve mostly been working on Valentine's Day prep, Brian's birthday prep, and Olivia’s birthday prep. 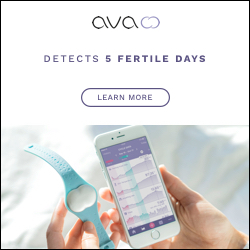 All three of these things fall within 11 days of each other, so that puts a ton of work on me all at once! I would say that VDay was a success, B’s bday was a success, and I’m hoping that Olivia’s bday is a success this weekend as well! Girls’ Night Out tonight and date night to see Dierks Bentley tomorrow night! I don’t get out much during the week, but when I do, I go out two nights in a row. Haha. Watching – The Bachelor (even though I’m so over this season… whoever’s idea it was to pick Nick for The Bachelor should be fired… as well as the person who cast Corrine), This is Us (I have a feeling we’re all going to be learning about Jack’s demise soon and my heart is just not ready for it), Big Bang Theory (are they ever going to let us see Bernadette and Howard’s baby?! ), Scandal (there’s just not enough Fitz these days so I’m just not feeling it as much this season), Shark Tank (anybody want to help me invent something so we can get on there?! ), Gilmore Girls (still rolling right along in season three), and we just finished The OA. So. Many. Questions. Reading – Two by Two by Nicholas Sparks. As per the usual it’s still taking me forever to read one book. I’m enjoying this one, though, and I hope to be able to list something different here in this post next month. Ed Sheeran’s new songs on repeat. Ray LaMontagne. The Lumineers. And of course my old standards and jazz… that’s a given. Lots of skinny pants and flowy tops. I have worn my puffer vests approximately zero times this winter. This heat has been unreal. Celebrating my sweet, sweet baby girl! B and I are taking the day off Friday to spend it with just her. Then Saturday for her actual birthday we will probably go to breakfast as a family and then find something fun to do. We will top the weekend off with a family celebration Saturday night with my FIL, another family celebration Sunday afternoon with my MIL, and then one with my family Sunday evening. Lots on the agenda this weekend and tons of family time! Love it! We never made it to ATL this month, so I’m hoping to squeeze it in next month. And also, B and I are seeing The Lumineers in concert in March! I’m so excited I can hardly stand it! We’ve seen them once before when they opened for DMB, but this will be our first time seeing them headline. I’m co-hosting a giveaway on Instagram today so check it out! All of my momma friends will love this one! 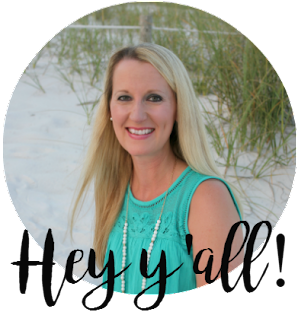 *Linking up with Shay, Mel, and Sheaffer for What’s Up Wednesday and Jessi's Design and Going the Distance for What's Hap-"Pinning" Wednesday. I had no idea today was national Margarita Day! Ha Enjoy girls night out! Oh and I'm so jealous you are seeing Dierks tomorrow night! Love him!! Do you use regular chalk?? or chalk pens?? Drew will be so excited when I tell him it's National Margarita Day. He's a huge fan. Have a great time enjoying it with friends. Can't wait to see what all you've done for Olivia's birthday. The chalkboard peek looks so fun. February is a busy, busy month for you all!!! Lots of fun things, though! Enjoy your marg tonight! Ahhhh 3!!?! 3 is also when I stop thinking of my kids as babies. Avery is 2 1/2 (I didn't really realize how close in age her and Olivia are) and we still call her the baby!! Even now that she's out of diapers, but she is quick to correct us that she is a big girl hahaha. Wooohoo for going out 2 nights this week, enjoy!! OH man those shirts are so cute. I wish we could just go shopping together. I can't wait to see Olivia's party I just know you are going to pull something amazing off friend. Happy Wednesday! Happy early birthday to Miss Olivia! Such a beautiful girl just like her mama! Cannot get enough of being outside and ruffles for the spring! I hope you have a wonderful Wednesday sweet pea! Thank you so much, Andrea! You are so sweet as always! And yes - RUFFLES!!!! And yes, I will go check out your jewelry! Thanks for letting me know! I love your spring top shirts. It's felt like Spring in Dallas for a month and I feel like everyone is already wearing ruffles and white skinny pants haha. Happy birthday to your baby girl! I know! The weather has been crazy! And thank you! Love your outfits! And that Ralph dress - I just die! Amazing! Happy Wednesday! Right?! Somebody needs to make a copycat! LOVE those tops! (the ones on you AND the spring ones you posted!) and that dress?? Waaahhh why so much!? Gorgeous! I am already dreading age three this summer for the exact reason you just said..it's like the 'baby' phase is officially over. Girl, I say just have another! ;-) I am DYING over how pretty that white top and pink necklace is..so gorgeous! I hope you enjoy your week and weekend, sounds like a lot of fun stuff happening! Sweet, sweet Olivia! So fun planning a bday for a 3 year old. I'm loving all your outfits as always but YES..I'm now going to be obsessing over that damn Ralph Lauren dress. And seriously...date night AND Dierks? Your killing me! I am loving the ruffle trend too right now! I want a bathing suit with ruffles this year--I feel like they are a classic haha! And enjoy your night tonight!!! 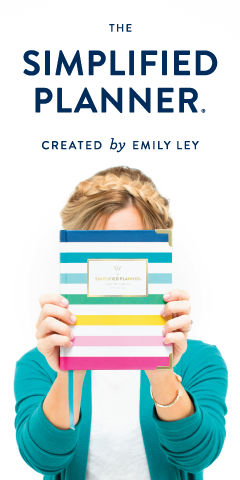 I can't wait to see how Olivia's party turns out -- you are the queen of party planning! Yay for Olivia's Birthday! I know it sounds dorky, but I seriously feel like I know you guys and I just hope she has the VERY best of Birthdays. I can't wait to see pictures. And, you've done a good job fitting in all the celebrations and making everyone feel special. Good job Momma! I feel the same about This is Us, I thought we were going to find out last week, but nope...I don't think I can handle it either! Happy Birthday to O, all the festivities are going to be great fun! Happy rest of the week! So jealous about Dierks Bentley, so fun! Baby Olivia -- oh my gosh!! I can't believe she will be 3! Enjoy your weekend celebrating! How did I not know it was National Margarita Day?? I guess I will have to celebrate tomorrow instead! Haha! And love the tops you posted! Perfect for Spring and Summer! It's never too late! Get you one! I am loving all the spring wear as well. I have bought a few items and can't wait to get more. Have so much fun at the concert tonight. I can't believe Olivia will be 3 this weekend. So fun. I usually get to wear scarves all winter long and this winter was the exception for sure. It's been so so warm. Happy 3rd Birthday, Olivia Cate!